A new eighty-eight (88) unit, three (3) story, 87,239 GSF market rate apartment with an underground parking garage. Amenities include fitness center, business center, community room, among others. We currently have our earthwork, concrete, waterproofing, steel, precast plank, and rough carpentry material subcontractors onsite. Precast plank is being set and wall panels are being built. The rain is and will continue to be a challenge throughout this spring. A new seventy-six (76) unit, four (4) story, 128,225 GSF senior apartment building with two enclosed parking garages. Our steel subcontractor has set steel in Areas A, B and C while finishing miscellaneous details throughout and setting beams on all of the columns that have been set. Wall panels are being assembled and trusses are being set while the excavator is working on snow removal. New construction of a 67 unit 3 story wood framed 87,239 SF apartment over underground parking. We are excited to announce that we broke ground May, 2018 in Fridley, MN for Phase 3 of our Cielo Apartment Complex. Currently plumbers are working on finishes on first floor and started testing systems while HVAC worked on common area furnace duct, finishes and started up magic paks and fan coils. Electricians worked on fire alarm and system check. Carpenters installed common area cabinets; mailboxes and finished base trim in corridor. Decks are being installed along with stop gates at stairs and ships ladder. Washer and dryers were delivered and are being installed. We are excited to announce that we broke ground for Lake Jonathan Flats Apartments February, 2018. At this point the interior of the building appears to be on track and all is moving well. All of fourth floor vinyl planking is complete as well as all of third floor planking. Second floor vinyl planking has begun and will most likely be completed end of March. Cabinets and millwork are completed through third floor and have begun on second floor. All painting and drywall including stairwells are completed throughout. All finish electrical work is completed throughout all units and electricians continue to finish in common spaces. The plumber has begun installing finish on fourth and third floor. All magic packs are set throughout the entire building and HVAC is connecting ductwork and installing gas lines. The exterior of the building is moving a little slower than what we would like. The weather is been a challenge but with the thawing conditions things are not likely to improve as far as moving around the site. The brick installer has begun setting scaffolding on the very south as well as moving across to the north. Our biggest challenges have yet to come with getting the parking lot sub graded and rocked with the challenging site conditions. 94th Ave. N Street & Utility Expansion - Installation of approximately 1,100 LF of new road construction. Work to include sidewalks and bituminous trail. Utility work to include water main, sanitary and storm sewer extensions. Currently the balance of perimeter strip footings were poured and wall panels are being set; we will be pouring them in the following weeks. Utilities have had a good start, sanitary sewer and water main are in the road. We've started the cut for the deep sanitary sewer line at the SE corner along 93rd ave.
Urbana Place Senior Living - New construction of 100 unit assisted living facility on a partial slab on grade foundation with 24,000 SF of underground parking. Finished area is 123,241 SF wood framed four story. We are excited to announce the ground breaking for Urbana Place Senior Living will take place September 27th, 2018. Construction update for Urbana Place; gypcrete is being touched up for vinyl, shear wall sheathing on 1st floor, blow ceiling insulation on 1st floor and floor trusses, detail roof to prevent leaking, LP siding installation, tape and frame soffits on 2nd; hang 1st; paint 3rd, plumbers set showers on 1st and water pipe in garage, HVAC install common area duct on 2nd, electricians are tying in panels. Urbana Court Apartments - 314,782 SF three story wood framed 207-unit apartment over a 77,864 SF underground parking structure. Lyon Contracting recently attended the Excellence in Construction Award Banquet to receive two (2) Pyramid Awards; one for Remington Cove Apartments in Apple Valley, MN and the other for Yorkshire of Edina Senior Living in Edina, MN. We are very proud of both these projects and couldn’t have been successful without the help of our Subcontractors, Owners, and Architects. Thank you to everyone involved in each of these projects. Eden Prairie, MN. 1 February 2019 – On January 24, 2019, the Minnesota/North Dakota Associated Builders and Contractors (ABC) honored recently completed member projects at the 2018 Excellence In Construction Banquet at The Metropolitan in Minneapolis, MN. Lyon Contracting, Inc., St. Cloud, MN received a top award from the Minnesota/North Dakota Associated Builders and Contractors for its Remington Cove Apartments & Yorkshire of Edina Senior Living in the Multi-Family Projects and Condos Over $5 Million & Healthcare Over $5 Million. ABC's awards program is designed to publicly recognize the quality and innovation of merit shop construction and to honor all the members of the construction team, including the contractor, the owner and the design team responsible for the project. The winning projects were selected from entries submitted across the state and were judged on complexity, attractiveness, unusual challenges, completion time, workmanship, innovation, safety, and budget. Lyon Contracting, Inc. was the general contractor on the design-build team that built this creative and contemporary municipal project. The project entailed proper scheduling of materials and sequencing of subcontracting work. In the end, this project was both functional and aesthetically appealing. Lyon Contracting, Inc. completed the project on time and on budget. “This project is a clear example of the high-quality work merit shop contractors perform every day,” 2019 MN ABC Chairman Michael Winiecki said at the awards event. The MN/ND Chapter of Associated Builders and Contractors is part of a national association representing more than 21,000 merit shop construction and construction-related firms in 70 chapters across the United States. ABC is dedicated to providing legislative representation, networking, safety, and education opportunities for professionals in the construction industry. For more information, contact the ABC Office at (952) 941-8693, email jeni@mnabc.com, or visit www.mnabc.com. 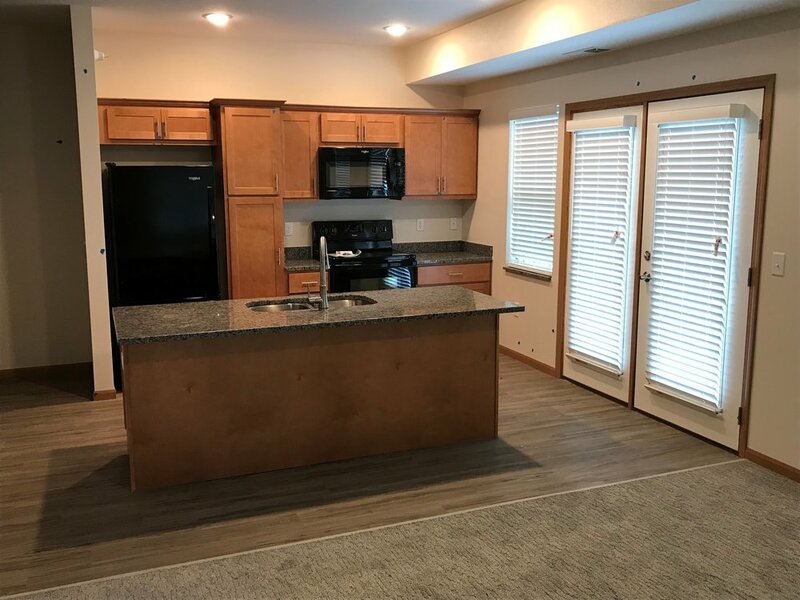 Territorial Woods Apartments in Maple Grove, MN is open for the holidays! This apartment is truly a place to call home and you’ll feel that the moment you walk in. This is a new three (3) story, 98 unit, wood-framed building with a 40,345 square foot underground parking structure, 40,345 square foot first floor, 40,981 square foot second and 41,981 square foot third floor; with a combined total of 162,652 square feet. We’ve enrolled our Vincent Woods project in Rogers, MN into the MN OSHA Cooperative Compliance Partnership, Friday, December 14th, 2018 was our official signing. We are excited to have yet another project show our commitment to Safety through this program. Harrison Bay Senior Living in Mound, MN is a new three (3) story, 72 unit, wood-framed building with a 31,595 square foot first floor and 24,174 square foot second and third floors. We are excited to announce that Harrison Bay Senior Living is open and accepting residence. This facility is immaculate and one of our most beautiful properties and has a lot to offer. The grand opening ceremony took place October 28th, 2018. For leasing information, please contact the management company at 612-430-8150. We’ve been awarded a Pyramid Award for both Yorkshire of Edina Senior Living in Edina, MN and Remington Cove Apartments (Phase I & II) in Apple Valley, MN! This is a huge honor and we couldn’t be more proud. Hope everyone who participated on these projects with us will be able to celebrate with us at the ABC Award Banquet in January, 2019.